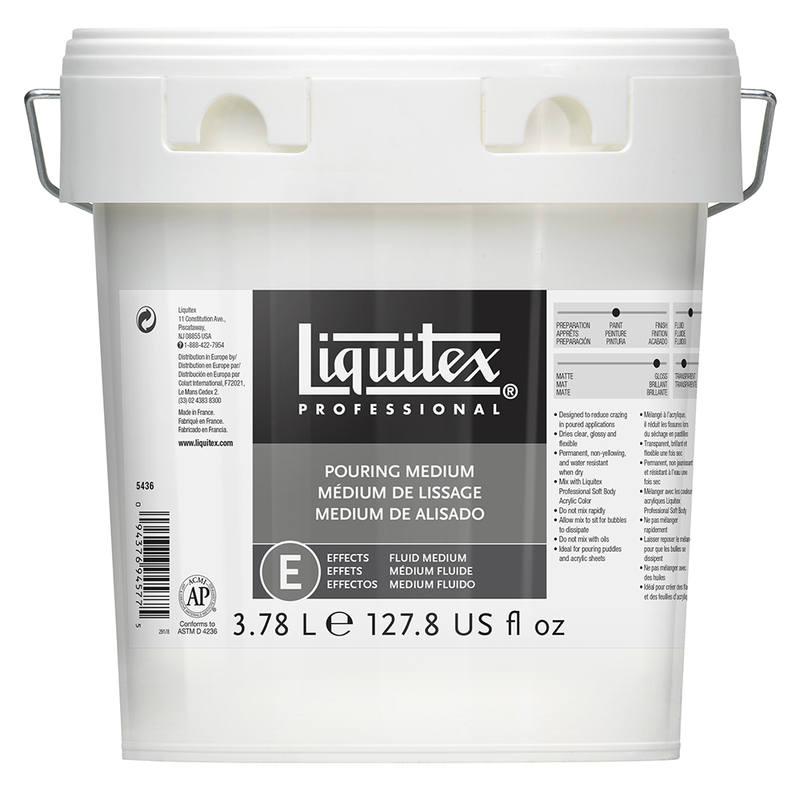 Designed to not craze in poured applications, which creates even poured puddles and acrylic sheets. 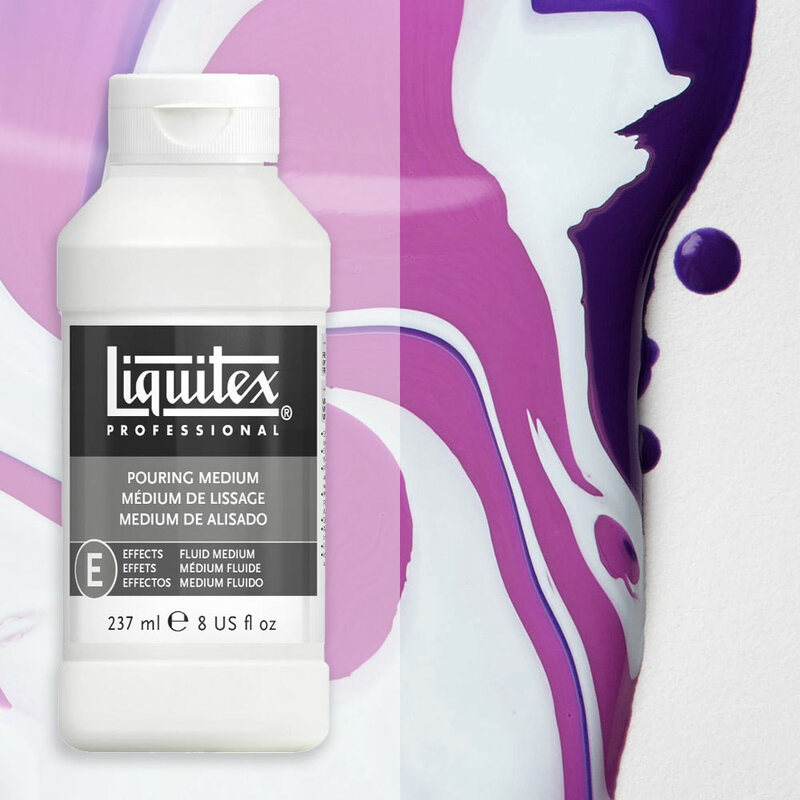 Mix with Soft Body Colour to promote drying with a smooth even coloured film. Creates even “puddles,” poured sheets, and flowing applications of color. Does not craze, crack, or hold bubbles in the paint film upon drying. Retains high gloss and wet appearance when dry. Will not add transparency when mixed with color. Flexible, non-yellowing and water resistant when dry. The medium used on its own will create a flexible transparent glossy gell finish when dry.